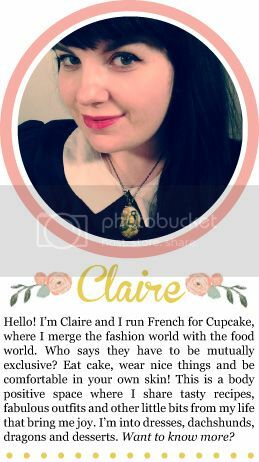 A few people have messaged me asking what make up I wear, and I always enjoy these posts on other blogs so I thought I'd share! 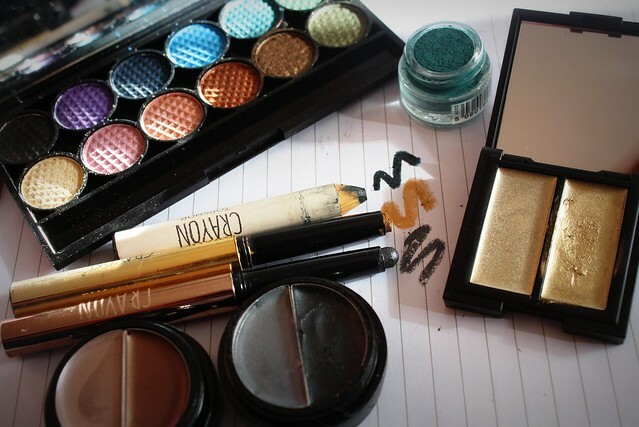 I am a slight make up addict, though I don't wear it every day. 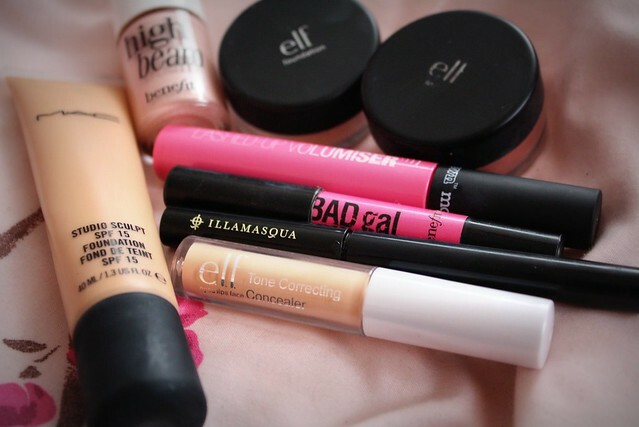 These are my most used or most loved products (generally). If I did this for all the make up I'd probably be told that an intervention was needed. This is going to be a photo filled post, apologies if that annoys you. Since I went from a brunette to a redhead I have bought some new things, I found some colours just clashed really badly. This included my old favourite Russian Red MAC lipstick. I've found plenty of other options to replace it though, and less harsh reds. I generally stick with affordable brands, except for foundation. I think a lot of the time you're just paying for the fancy packaging and although I am sucker for that, I'm trying to be sensible. L-R: MAC Studio Sculpt NW15, Benefit High Beam, ELF Studio Foundation in Fair, ELF Studio blusher in rose, Illamasqua precision ink in Abyss, ELF tone correcting concealer in Rosy Beige. I feel pretty naked without eyeliner, but apart from that none of it is too heavy. If it's a windy day I have to scrap the eyeliner because my eyes water and I look like a panda. 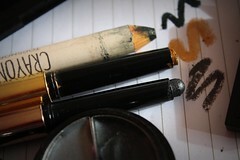 I use illamasqua precision ink which is expensive but has better staying power than anything else I have tried. You can get it on ASOS so ocassionaly you can get a deal on it with vouchers etc! I went for a MAC Makeover to find a decent foundation, this is the lightest the girl could find after 5 attempts and I reckon it's still a bit too dark. I've been told Bobbi Brown is good for pale skin so I'll try them when this one runs out. 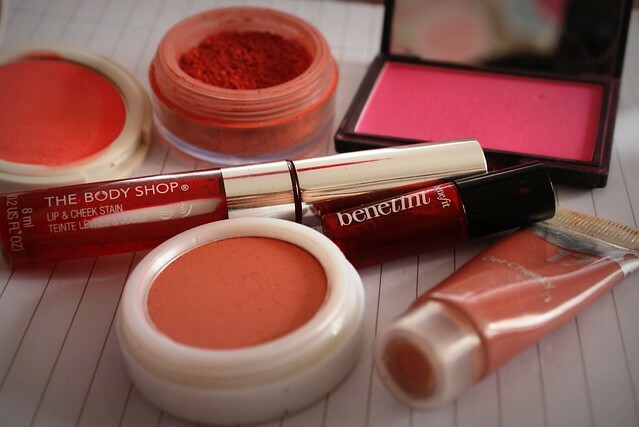 L-R: Body Shop lip and cheek stain, Topshop cream blusher in flush, ELF rose, Sleek in Pixie Pink, Benetint, 17 cream stain (no idea of shade, it's rubbed off) and Natural Collection in Dusky Pink. I've only really started using blusher since I had it put on at my mac makeover and now I love it. I used to just stick a bit of Benetint on there and that was it. I really love the cream topshop ones, need to get some more as they are fab. The bodyshop cheek stain came free with a magazine, it's pretty expensive to buy in store and pretty rubbish to be honest. About ten times less strength than Benetint, I have to apply it over and over for any hint of colour and then it vanishes after about 10 minutes. 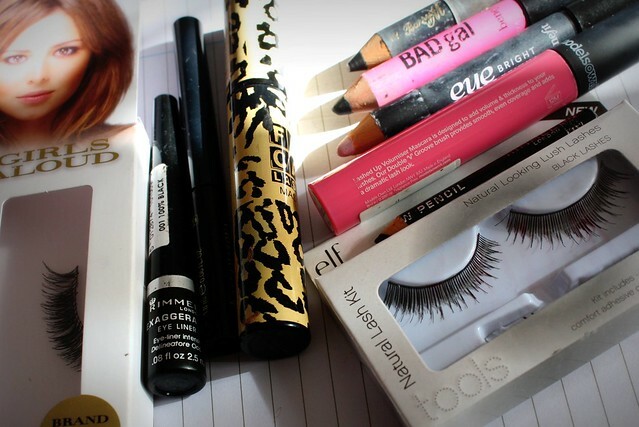 Eye liners, mascara and lashes. Eyes and lips are my favourite to do. I hate not wearing eyeliner, so I pretty much always have it on in a cat eye flick. Like I said Illamasqua has the best staying power but that Rimmel one is pretty good as well and if I didn't have such sensitive, watery eyes I would stick with it. I just use a standard rimmel eyeshadow pencil to fill in my brows. I bought the fill and lift ELF pencil this week and it is horrible, it's like applying clotted cream to your brows - seriously so heavy and messy. The pink mascara is Models Own. I used to only use Benefit Bad Gal and it was the only make up product I always used and refused to look elsewhere, but then having loved Models Own products so much I thought I'd check out their new mascaras. This Volumize one is an AMAZING dupe for Benefit Bad Gal, and it doesn't smudge as much under my eyes. Brilliant, I really can't recommend it enough. 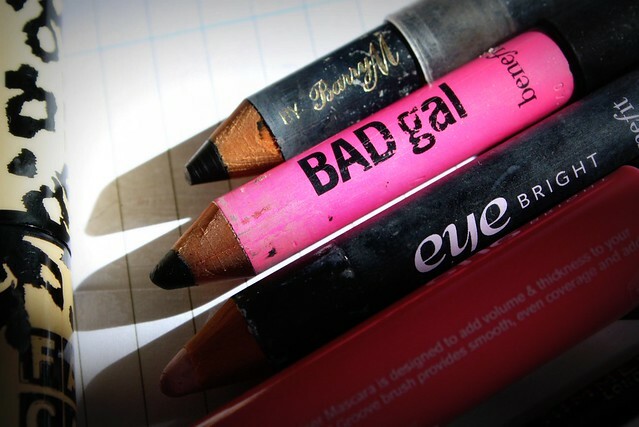 For my water line I use Bad Gal liner. I got it free in a magazine but I love it and will probably buy a new one when it runs out. That Barry M pencil is a great dupe for it, however. For my falsh lashes, which I generally only wear on a night out, I tend to stick with eyelure. I am sad and love anything with Chezza on it (my second favourite Geordie after my twin MessyCarla, way aye!) but those Girls Aloud ones are really good. I also love the ELF natural lashes there and for £1.50 they are amazing value. The glue is rubbish though, so get a little bottle of Eyelure Lash Fix which lasts ages. 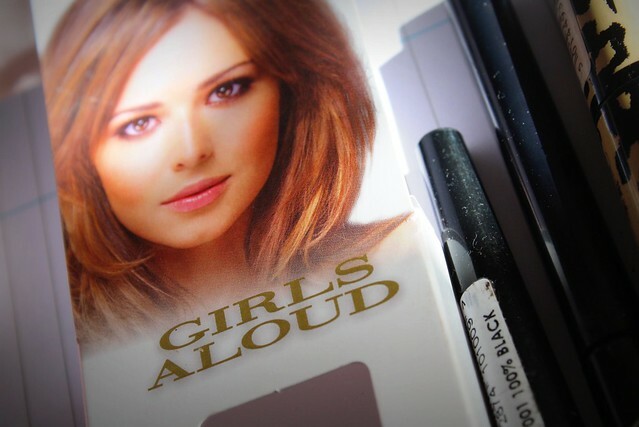 Also if you want something more dramatic the Nicola Girls Aloud ones are perfect. L-R: ELF cream shadows in Mocha Swirl and Black Licorice, Topshop crayons in Zephyr, Sunshower and Blackjack, Sleek storm palette, Models own (?) and Sleek Molten Metal. I don't usually wear eyeshadow unless I am on a night out, in which case I do a smoky eye. 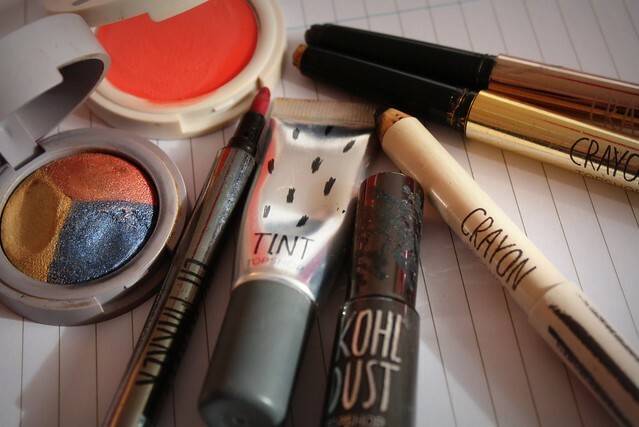 I hate using powders because I get them everywhere, so I love the Topshop crayons which are super quick and mess free. 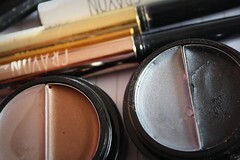 Or eyeshadow creams, like those ELF and Sleek ones. If I have the time to use a powder I use my Sleek palette. 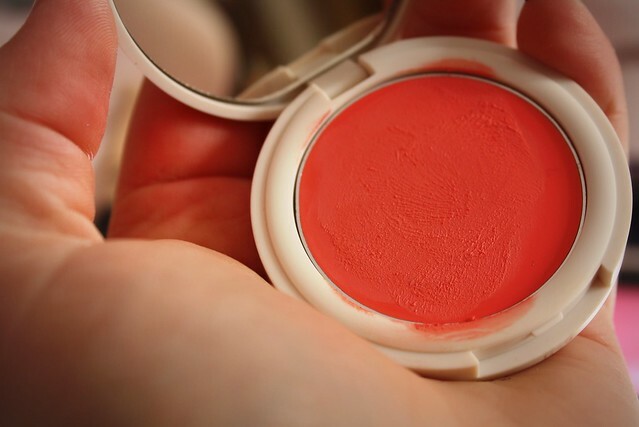 It's amazing, really pigmented, long lasting and cheap. I think I paid around £6 for that. Although I lost one in Paris, oops. I just bought the ELF creams this week and I love them. The Models own is one I was really excited about because I love their other products so much but this was a disaster. It stained my eyelids! I had blue eyelids for about 4 days, no amount of soap, creams or remover would work at all. Has anyone else had this problem? I'll avoid their shadows until I hear otherwise! 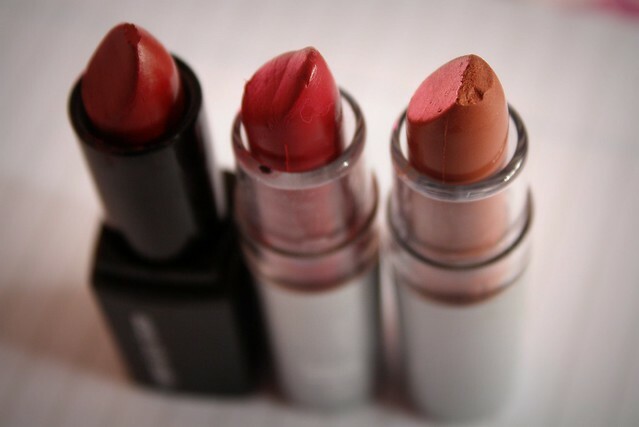 L-R: Utterly Frivolous, Diva, Ramblas Red and Russian Red. 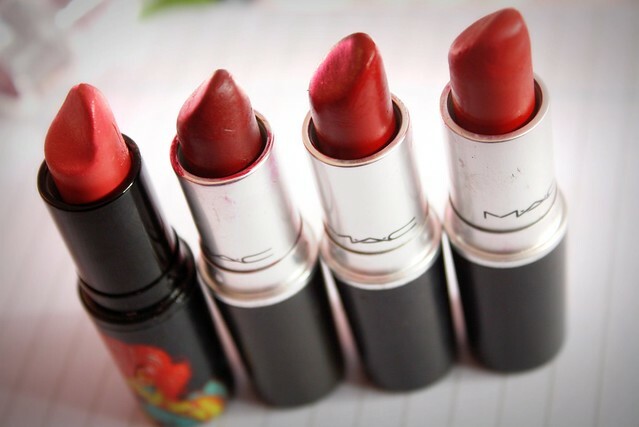 I usually use MAC, they're worth investing in, good staying power. The Russian Red is a matte one so I always need gloss over it or it is way too drying. L-R: ELF Cheerful cherry, Posh and Fantasy. I love the ELF lipsticks, though I actually find the ones from their basic collection better than the more expensive (but still ridiculously cheap) Studio collection on the left. L-R: Models Own Deep fushia, plum, scarlett, blackberry gloss pot, red hot gloss, blackberry gloss. I have all of the Models Own lipsticks but typically could only find my least favourite 3 for this. They're still really good, but I bought the plum one online where there was nothing saying it was shimmery and really it's more pink than purple. The glosses are great though I probably wouldn't buy the tubs again as they are really messy to apply without a brush. 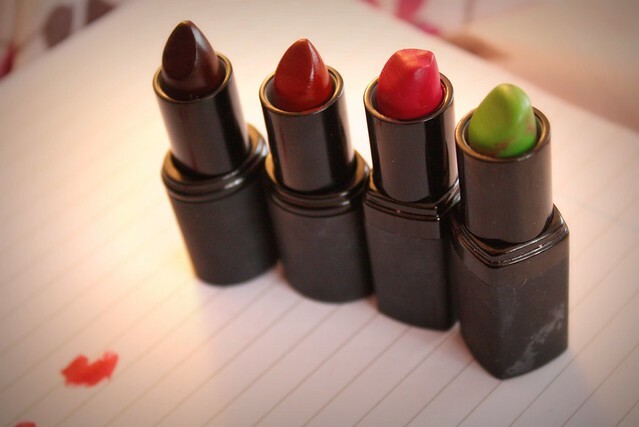 L-R: Sleek Mulberry, Cherry, Barry M 144 and Touch of Magic Green. I rarely use those Sleek lipsticks. 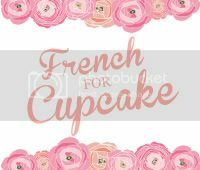 They are nice colours but they go on really cakey and thick and are just a mess really. Maybe I am doing something wrong. The Barry M ones are brill, the green one changes colour on your lips depending to the PH level. So basically it's a different colour on different people, I bought this for the novelty factor but I actually use it a lot because it goes on a really lovely berry pink on me. And lastly a new addition, the only product I have tried from the Accessorize make up collection. I really like it, but in general I find their products a bit tacky looking and expensive for what they are (which is quite similar to the cheaper Barry M stuff). I'd be willing to try more though because the quality of this lipstick is quite high. Eyeshadow in Sunstar and Stain in Bitten Berry. I never thought I would like the Topshop make up. I had this thought that it would be a bit half assed and not great quality but I was completely wrong. I love it and can't get enough of it. The colours are amazing and long lasting and right on trend. I especially love their eye products. I have one of their nail polishes and it's okay but for £5 I'd rather just buy a Models Own bottle. The lip and cheek stain is great but make sure you get it right on your first application because it's a total pain to wash off! And this is how I store them. 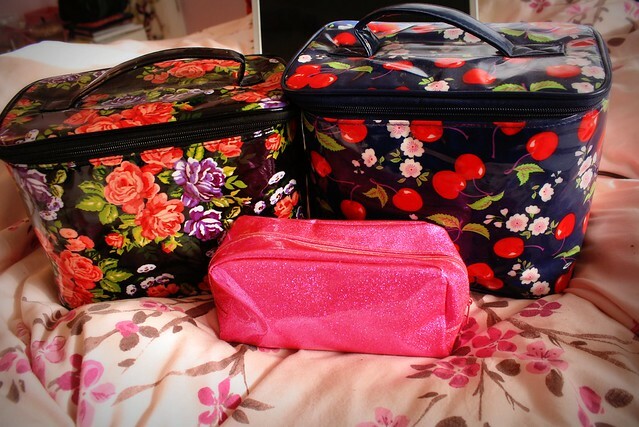 The cases come in loads of patterns from Primark and I think they're around £5 or less. The little case is my everyday stuff and it is from Forever 21. When I move next month I really want to get a set of clear drawers for them. I can only find ones for around £30 or £40 on ebay and that seems way too much (I am cheap) so if anyone has any links send me them to check out please! I hope you liked this post, I know it's not the kind of thing I normally do but so many people had asked so I thought I would go for it. xo. Ahhhh lovely post! 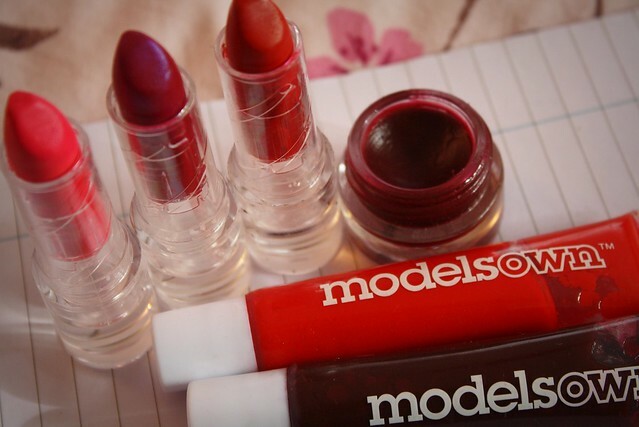 I love Models Own lipsticks, I swatched the Plum one once and looooove it. 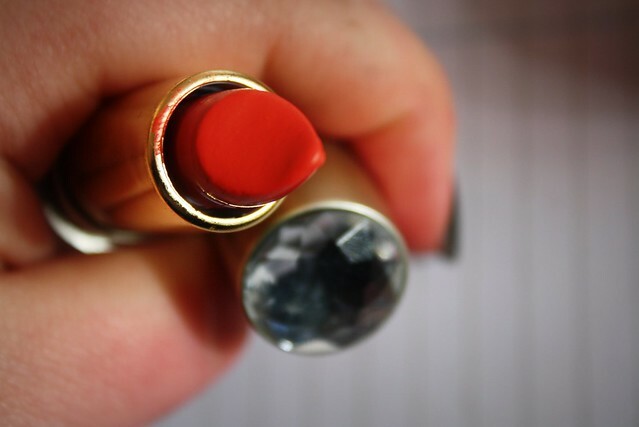 Russian Red is one of my favourite lipsticks and I'm really jealous that you have that Gold Topshop crayon, I so regret missing out on that. woza, so much awesome make up. I have quite a few of these things especially the benefit makeup. also have the barry m green lippie, it's bloody amazing!!! 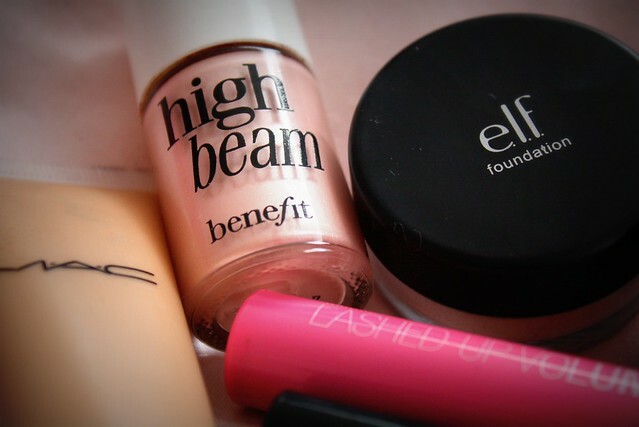 I love that you have a mix of high end and drugstore products too! What did you think of the Mac Makeover? Would you recommend it?